When the Australian Test squad to meet Sri Lanka was named on January 8, Aaron Finch and the Marsh brothers were left out, but the exciting 20-year-old Victorian batsman Will Pucovski was included. His claims were undeniable as only the ninth player since 1892 to score a Sheffield Shield double century before he turned 21. Don Bradman heads the illustrious list with 340, the only triple, that he plundered at 20 years and 151 days in 1929. But the other seven all enjoyed long Test careers as well, with their ages at double ton time – Clem Hill (18 years and 348 days), Doug Walters (19-47), Darren Lehmann (19-281), Ricky Ponting (19-32), Paul Sheahan (20-92), Ian Chappell (20-109) and Norm O’Neill at 20 years and 340 days. As it was only a two-Test series, there was no point in picking Pucovski in the squad if the selectors weren’t going to play him. Until NSW batsman Kurtis Patterson, who wasn’t included in the original squad, cracked 157* and 102* for a Cricket Australia XI against Sri Lanka at Hobart in the only warm-up game for the tourists. Overnight, on January 20, Patterson was included in the squad, and the selectors wouldn’t have done that if he wasn’t going to play. So Patterson made his Test debut at The Gabba, with the originally selected Pucovski demoted to carrying the drinks bottle when for 12 days he was to wear a baggy green cap for the first time. But the selectors haven’t finished with dudding Pucovski. 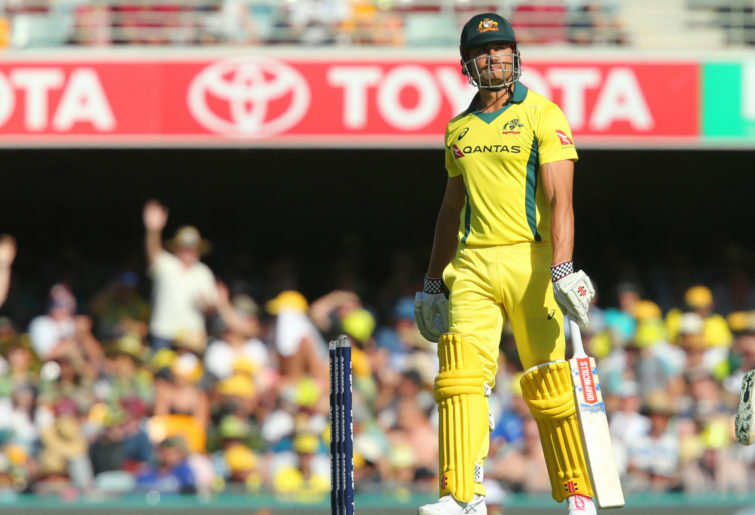 Yesterday, Marcus Stoinis was added to the squad, despite Australia wiping Sri Lanka out in Brisbane by an innings inside three days – only Australia’s second win in the last eight since the ball-tampering saga. So what spectacular performances has Stoinis turned in since January 8 when he missed out on the original squad? There’s been no Sheffield Shield since December 10, but he’s had three ODIs against India, and two BBL games for the Stars. ODI – 47* and 2-66. ODI – 29 and 1-46. ODI – 10 and 1-60. BBL – 70* and 3-19. BBL – 53 and 3-20. How did Trevor Hohns, the chairman of selectors, explain Stoinis’ sudden promotion? “We made the decision to add Marcus to give us flexibility to play an all-rounder in the event the conditions require an extra bowling option in the line-up”. Not true, that option was there originally when he dropped Mitchell Marsh, but Hohns didn’t see fit to include Stoinis then. “Marcus has been a consistent performer this season, he has displayed strong all-round form in first-class cricket, and confirmed that form in the Australian ODI series against India”, was Hohns’ follow up explanation. The hell he did in the latter. In the Shield until December 10, he has only claimed ten wickets at 25.20, while other pacemen like Scott Boland tops the wicket-takers with 36 at 17.41, Chris Tremain 28 at 23.60. Jhye Richardson 27 at 19.03, that earned him a baggy green, Jackson Bird 27 at 22.74 and Joe Mennie’s 26 at 20.61 are all far better performed than Stoinis. Let’s go back to January 8, and how Pucovski, Patterson and Stoinis compared with Shield runs this season when the original Australian Test squad for Sri Lanka was named. Pucovski – 311 at 69.88. Patterson – 428 at 47.55. Stoinis – 298 at 42.57. Yet Pucovski was dudded for his first Test cap by late addition Patterson and will be again be dudded by later addition Stoinis, even though he’s in the all-around status.